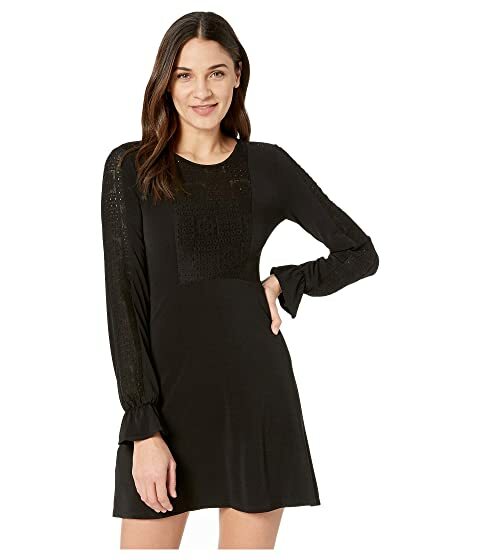 This dress by BCBGeneration™ is accented with lace insets along the sleeves and yoke for a romantic finish. Flared hemline falls at a flirty length. Hand wash or dry clean for best results.